For those who are preparing to carry out Work at Heights, safely, within the work place, preparing and using appropriate personal protective equipment (PPE), using equipment safely, following procedures and dealing with emergencies. A mix of practical observation and written assessment. Certificate of attendance issued by Aid Training. An in house course is available for up to 8 delegates (assuming suitable training space is available) for £650 plus vat. 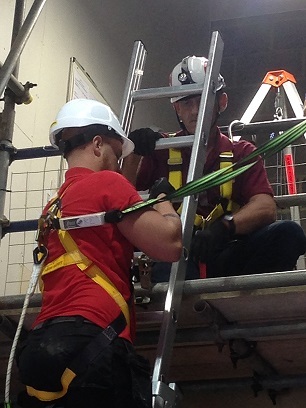 Would you like more info on this Safe Working at Height Course? If you need any help or have any questions about this Safe Working at Height Course why not call us on 01985 843100 for a chat. Alternatively, drop us an email info@aid-training.co.uk and we will get in touch.